Between our two on campus facilities we house our 13 majors and provide access to quality equipment from printers to throwing wheels. 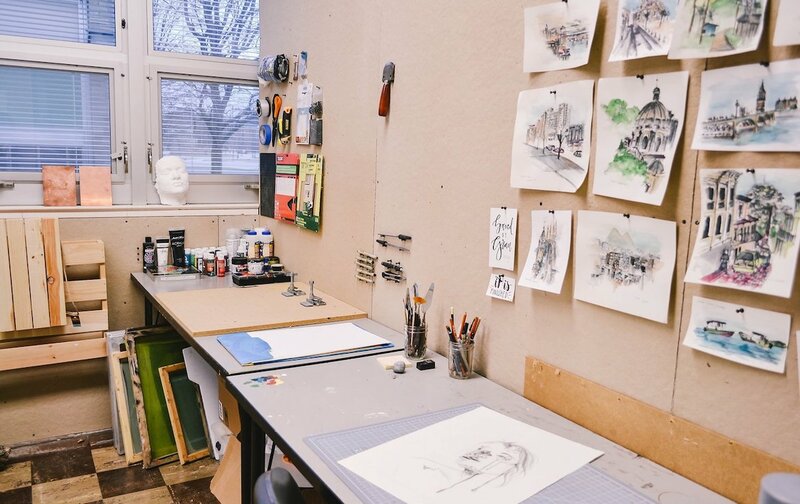 Center Hall hosts all of the Foundations courses with brand new drawing classrooms and full access to the sculpture gym for three dimensional design. We are very proud of the spaces and hardware our students have access to on a regular basis. Beyond the average classroom we have so many different workspaces—from the Mac Lab in Beard Arts Center to Center Hall’s life drawing room there are a multitude of rooms to get stuff done. If you’re the type that needs a personal space to hang up your work and lay out your drying canvases, a studio might be the best fit. Center Hall houses 40 studio spaces set aside for our students— a privilege normally only graduate art programs can provide. If you're a fine arts student who's looking for a more 3-D approach to creating, check out this unique innovative space in Center Hall. 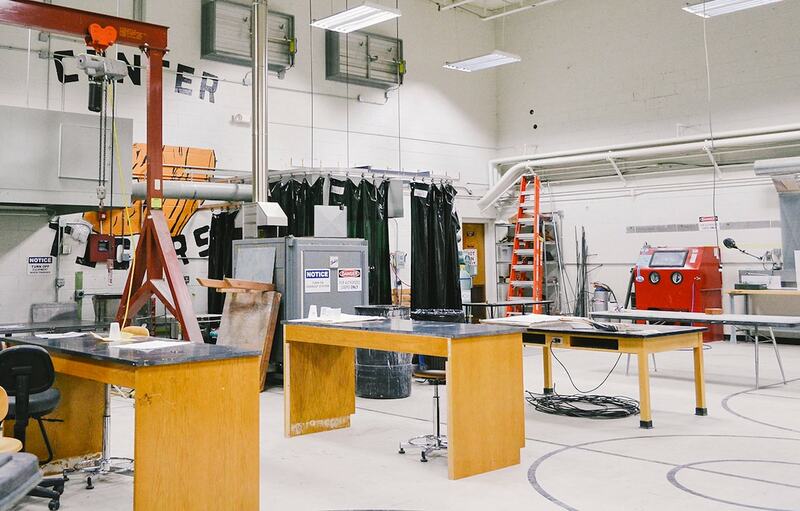 Our Sculpture Gym has everything from welding materials to sandblasting to make sure that you have the materials you need to see your artistic vision come to life.